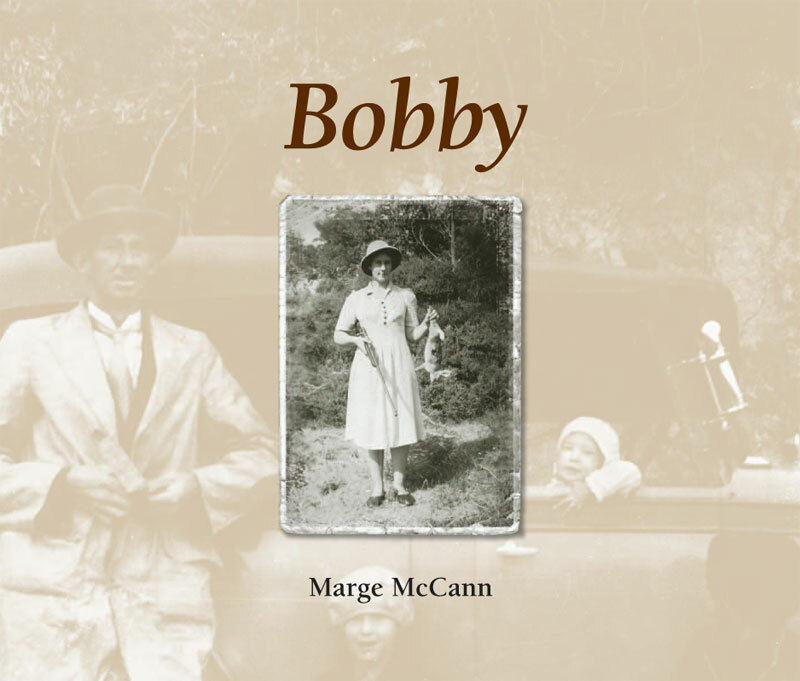 Marge McCann was born into difficult circumstances at the beginning of the great depression. Her formative years as a child describe how her family lived during the depression, their involvement in the Spiritualist Church and the strong influence of her father who whipped her as a child. As a young mother, she endured the stigma of living in poverty with a married man during a time when unmarried mothers were being forced to give up their babies. The family’s fortune changed when they moved to Canberra in the early 1960s where Marge built a great career for herself before being struck down by cancer. Her inspiring story of surviving cancer and the negative influences in her life provides an insight into this remarkable woman who, in her late 60s, takes off by herself to explore the Northern Territory and Western Australia in her four wheel drive. Marge is a natural storyteller who has courageously shared some very difficult stories about her personal life. She and her husband, Jack, bought the ruin of an old inn in Majors Creek which they restored and built on where they lived happily for many years until Jack died and Marge had to move into a residential care centre in Braidwood due to ill health. A special tribute read by her son, Peter McCann at her book launch at the Old Braidwood Library, Braidwood, NSW, on 30 September, 2014. Life with Bobby can be strange and wonderous. Filled with impossible events that leave you reeling. Growing up with Bobby I thought that ghosts were real. Bobby often talked about her mother, grandmother, and greatgrandmother all being mediums, and that spirits would often inhabit them. Unbelievable stories that seem to have a hidden truth. A woman of such strong belief, when faced with having a child out of wedlock, when unmarried mothers where socially ostracised and condemned, had no choice but to see a lady in Surry Hills who claimed she could make the pregnancy go away. The rhythm of the train on the way back home chanted “I am going to have a baby, I am going to have a baby”. Suddenly, she had a choice. Living an adventure too great to begin, somehow through imagination and belief Bobby could accomplish the impossible. As a small child Bobby helped her father bury the draft horse. She had to hold a lamp so her father could see, as he carved up the horse to fit into the ditch. To this day Bobby still says it was a job that had to be done, no matter how horrific. Early lessons taught her that mind over matter provided fight and determination, the courage to go on. On retirement Bobby faced radical surgery and 72 hours of treatment with a radium implant. She finally left the hospital, only to experience futher incredible pain. In a vision, the Pope came to her, measuring her chest with a sexton. The doctors told her she should have died. Through this adversity she discovered the power of freedom. 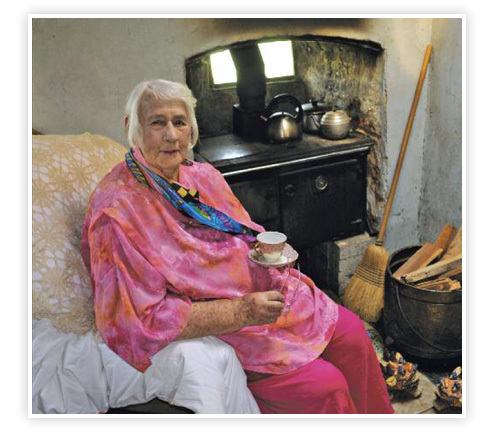 At the age of 65 she had already outlived her life expectancy by 5 years. She took off alone on what was to be the first of many trips around Australia. She took an old diesel 4-wheel drive, with no power steering; an iron fram bed; and an army tent. Bobby survived cyclones, poor health, and family tragedy. On her last trip she was able to walk bare foot for the very first time. The stars were so close, she felt that she could touch them. She felt connected, and complete. Bobby is an inspiration to us all.